As a leader in the manufacturing of visual, voice and paging nurse calls, Cornell Communications is widely recognized for its reliable and premium products. 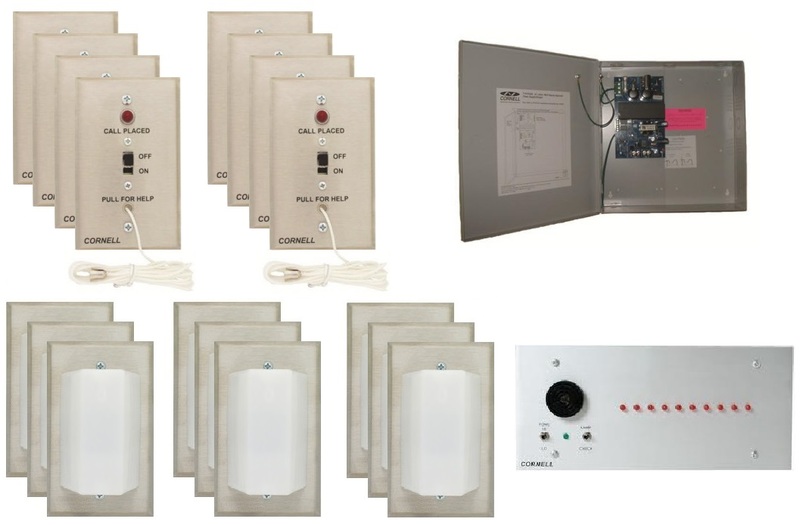 Producing some of the best in nurse call systems, Cornell Nurse Call Systems are expertly designed and ready for use in hospitals, assisted living facilities, nursing homes and much more. A Cornell Nurse Call System is durable and ready to alert your staff for any kind of emergency your health facility may have. 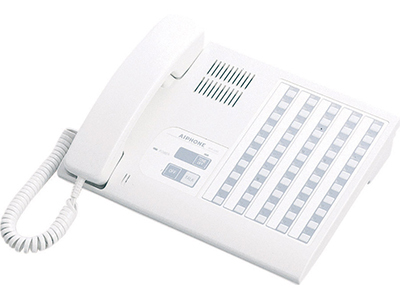 Our Cornell Nurse Call Systems are designed with flexible compatibility in mind. Pairing with Statistical Reports, VersaPage pagers, and AURA 2.0, Cornell Communications offers Data Logging to keep track of your alert device data and Broadcast Notification to keep your staff well-informed. Cornell Nurse Call Systems come in two models: the Cornell 4000 Nurse Call System and the Cornell 7000 Nurse Call System. Both are created to adjust to the needs of each individual healthcare facility. 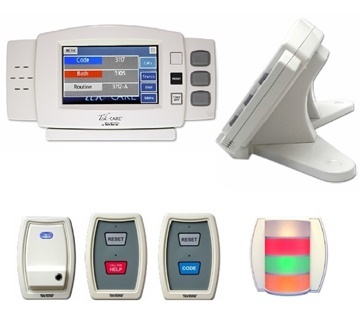 Our Cornell Nurse Call Systems come with an extended 10 year warranty. 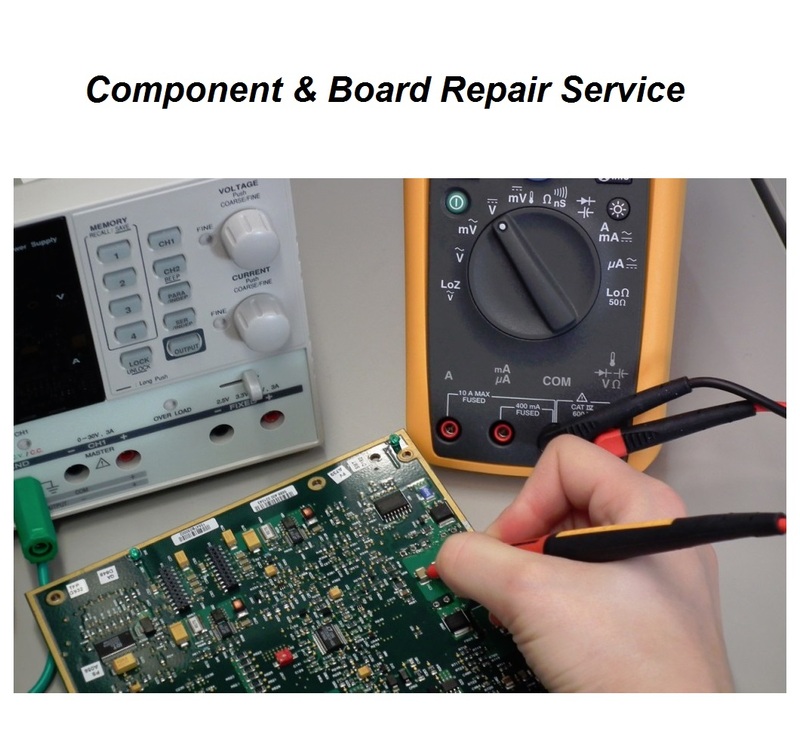 We offer multipurpose products to ensure better communications within your facility. Cornell Nurse Call Systems are manufactured for both large and small clinics and hospitals, providing additional packages for purchase to grow with your needs. 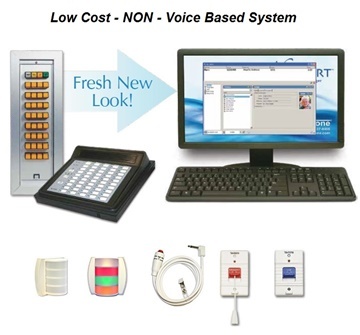 Our nurse call systems can send messages in a variety of ways, such as text message, email, pagers or intercoms. 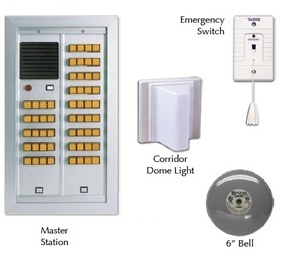 Voice calling or alert tones can be sent using either an emergency switch or an intercom station. 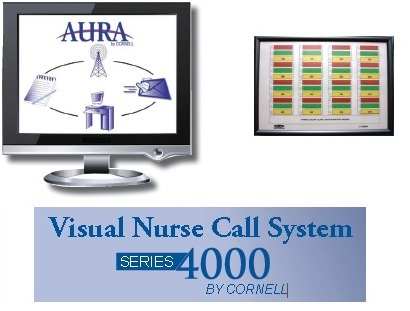 The Cornell 4000 Nurse Call System is our visual system. It includes and annunciator panel that shows where the call originated, through LED light or tone. The call system can be done either by a push button or pull cord. Call stations can be placed in each room or at a central meeting place where staff can easily access them. These features are only a few useful additions to the Cornell 4000 Nurse Call System. 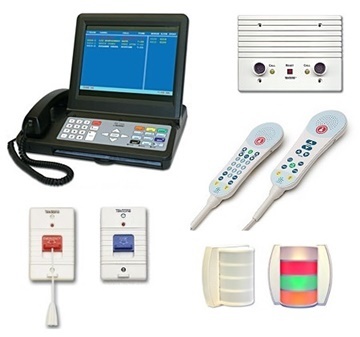 The Cornell 7000 Nurse Call System is an audio system which delivers quick, clear communication. The System consists of single or dual patient stations with pull cords, corridor or zone lights, duty stations and more to assist in communicating emergencies throughout the facility. Both Cornell Nurse Call Systems ensure that your healthcare facility’s nurse call needs are met. All communications are quick and effortless with a Cornell Nurse Call System.